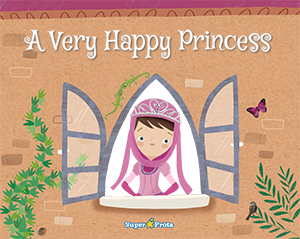 A very happy princess is the name of the main character of a magic adventure. She’s very down to earth and in no way a snob princess. She is a brave princess who will be able to free her people from a curse put by Rancia, the witch. You will see how the princess manage to return the happiness to their kingdom. You can personalise the story with the name and even with a picture. Illustrations by Marta Biel.